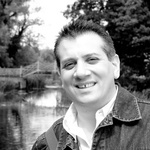 My name is Mario Abela and I am based in Cambridgeshire. For more than 25 years I have specialist in IT Consultancy. I specialise mainly in system administration and support...Read moreMy name is Mario Abela and I am based in Cambridgeshire. For more than 25 years I have specialist in IT Consultancy. I specialise mainly in system administration and support of Linux or Windows Servers. In recent years I also specialised in VMware hence I can install and configure VMware ESXi hosts with virtual machines running on top of the these hosts. I also have a good understanding of, and experience with, subsidiary technologies such as networking and routing. For the last 10 years I mostly dealt with Web Infrastructure systems hence I can also help in setting up your hosting environments.